Sterman Masser Potato Farms - Masser Logistic Services, Inc. 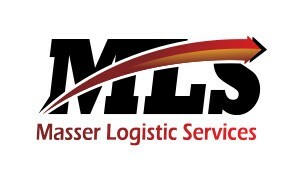 Formed in 2013, Masser Logistic Services (MLS) is a licensed and bonded trucking and logistics service company located in Sacramento, PA. The Company owns and operates a fleet of state-of-the-art trucks, each equipped with an auxiliary power unit that is utilized while idling in order to improve fuel efficiency and extend engine life. MLS enhances our ability to deliver on one of our core operational solutions: seamless, transparent order management, logistics, and customer service. It is also a natural extension of the SMI brand and reputation. From our farming and packing operations to our account managers to our truck drivers, the SMI and MLS teams are committed to exceeding our customers' expectations for high quality products and service. With our customer-first focus, strategic geographic location, expanded, leading-edge fleet of trucks and experienced logistics service team, we consistently maintain one of the fastest response times in the industry, and we continue to raise the bar on service performance and innovation.